Dr. Gerald James Larson is RabindranathTagore Professor Emeritus of Indian Cultures and Civilization, Indiana University, Bloomington, and Professor Emeritus, Religious Studies, University of California, Santa Barbara. Dr. Larson is the author or editor of some twelve books and well over 100 scholarly articles on cross-cultural philosophy of religion, history of religions, classical Sanskrit and South Asian history and culture. His recent books include India's Agony Over Religion (SUNY Press, 1995, and Oxford University Press, Delhi, 1997), Changing Myths and Images (Indiana University Art Museum, 1997), and Religion and Personal Law in Seculall to Judgment (Indiana University Press,2002, and Social Science Press, New Delhi, 2002). His most recent publication is Volume XII of the Encyclopedia of Indian Philosophies, co-edited with the late Dr. Ram Shankar Bhattacharya, entitled Yoga: India's Philosophy of Meditation (Delhi: Motilal Banarsidass, 2008). Also, a collection of essays has been published in his honour, Theory and Practice of Yoga: Essays in Honour of Gerald James Larson, edited by Knut A. Jacobsen (Leiden: Brill, 2005; Indian paperback edition, Delhi: Motilal Banarsidass, 2008). During his career at UC Santa Barbara, he received the Distinguished Teaching Award from the Academic Senate, UCSB (1989). Principal Investigator and Project Director, Title VI-A International Studies Grant, approximately $300,000 ($100,000 per year for 1997-98, 1998-99, 1999-2000), Office of Education, Washington, D.C.
1969 Classical Samkhya: An Interpretation of its History and Meaning. Delhi: Motilal Banarsidass. 312 pp. 1974 Myth in Indo-European Antiquity. Editor. Berkeley and Los Angeles: University of California Press. 197 pp. 1979 Classical Samkhya: An Interpretation of Its History and Meaning. Delhi: Banarsidass, and Santa Barbara: Ross-Erikson. Revised, second edition. 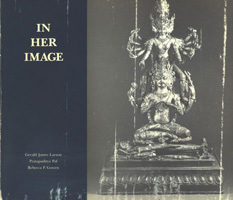 1980 In Her Image: The Great Goddess in Indian Asia and the Madonna in Christian Culture . Art Exhibition Catalog. Principal Editor, with Pratapaditya Pal and Rebecca Gowen. Regents of the University of California and the National Endowment for the Arts. 127 pp. 1987 Samkhya: A Dualist Tradition in Indian Philosophy. Edited with Ram Shankar Bhattacharya. Encyclopedia of Indian Philosophies, Volume IV. Princeton University Press. 674 pp. 1988 Interpreting Across Boundaries: New Essays in Comparative Philosophy. Edited with Eliot Deutsch. Princeton University Press. 316 pp. 1995 India's Agony Over Religion. State University of New York Press. 393 pp. 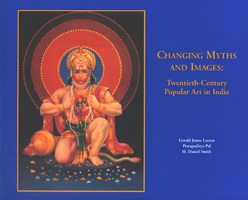 1997 Changing Myths and Images: Twentieth Century Popular Art in India. Edited with Pratapaditya Pal. Indiana University Art Museum and the Indiana University India Studies Program. 64 pp. 1997 India's Agony Over Religion. Oxford University Press, Delhi. Indian edition of 1995 SUNY book. 393 pp. 2001 Classical Samkhya: An Interpretation of Its History and Meaning. New hard cover and paperback reprint of Second Revised Edition. Delhi: Motilal Banarsidass, 2001 Reprint. 315 pp. 2001 Religion and Personal Law in Secular India: A Call to Judgment. Editor. Bloomington and Indianapolis: Indiana University Press, 2001; and Social Science Press, Delhi. 362 pp. 2008 Yoga: India's Philosophy of Meditation, Edited by Gerald J. Larson and Ram Shankar Bhattacharya, Volume XII, Encyclopedia of Indian Philosophies, General Editor: Karl H. Potter. Delhi: Motilal Banarsidass, 2008. 782pp. 2018 Classical Yoga Philosophy and the Legacy of Samkhya, Delhi: Motilal Banarsidass, 1028 pp. Please visit Amazon for purchase information (click here) Book now out; available thru MLBD or Amazon (US or India); see pdf of Preface, item 173 of CV. 174 2019 "Pātañjala's Theory of 'Many Lives....", print version of #172, in Perspectives on Reincarnation: Hindu, Christian, Scientific, Jeffrery D. Long, ed. In Brill’s Encyclopedia of Hinduism, Vol. IV, Historical Perspectives, ed., Knut A. Jacobsen, Leiden: Brill, 2012. Pp. 121-135. In Something Old, Something New: Rabindranath Tagore 150th Birth Anniversary Volume, edited by Pratapaditya Pal, Volume 62, No. 3 (Mumbai: The Marg Foundation, March 2011), pp. 96-107. In Press 2012 “Yoga’s Theism: A Unique Answer to the Never-Ending Problem of God in Comparative Philosophy of Religion.” Forthcoming in “Essays in Indian Philosophy, T. S. Rukmani Felicitation Volume,” edited by P. P. Kumar. Delhi: DK Printworld, expected 2013. In Press 2012 “The End of Sacrifice and the Absence of ‘Religion.” Forthcoming in Stockholm Studies in Comparative Religion, expected 2013. Currently Professor Larson lives in Mission Viejo, CA, and can be contacted at glarson@religion.ucsb.edu.